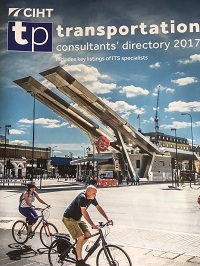 The CIHT Transportation Consultants Directory 2017 has just dropped on doorsteps around the country and we are happy to report that as a result of a lot of hard work and commitment The Up and Under Group has move up the table once more. More people than ever used our services in the past year. In Rail we have moved up 5 places, we have gone up 5 places on the list ranked by total staff numbers, 12 places in overall turnover and 13 places, and into the to 50, on the list ranked by transportation turnover. Another great result, thanks for all who have supported this great achievement. This entry was posted in Blog and tagged CIHT, Consultants Directory.